Amazon’s Echo newest smart home assistant has one obvious difference: the Show features a screen and front-facing camera. The small screen actually adds quite a bit of value. 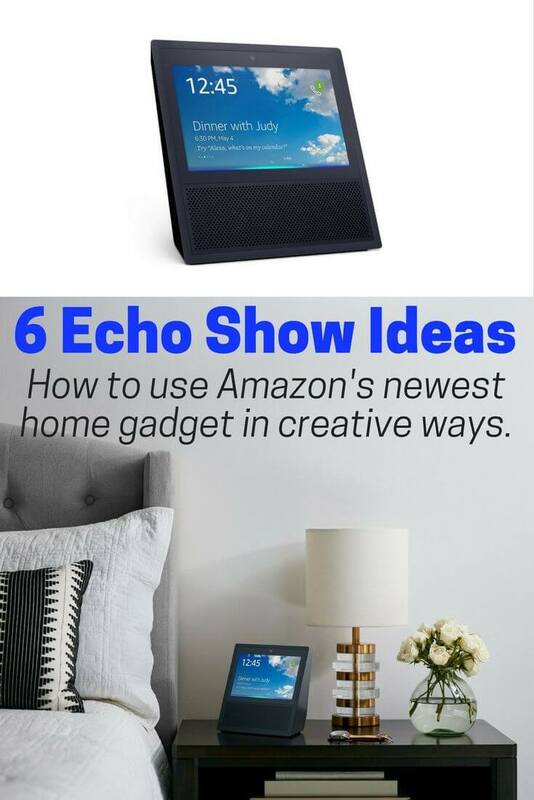 Here are some Echo Show ideas to maximize its new features. 1.0.8 Negatives for the Echo Show? 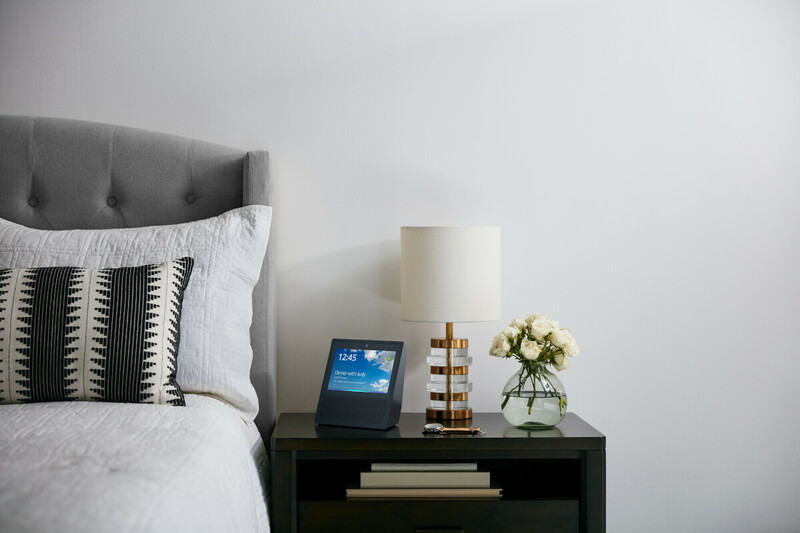 Designed to streamline your smart home, the Echo Show pulls together your smart devices, entertainment, and family conference calls, wrapping them all up in convenience and voice commands. This feature remains one of the highest rated by users. 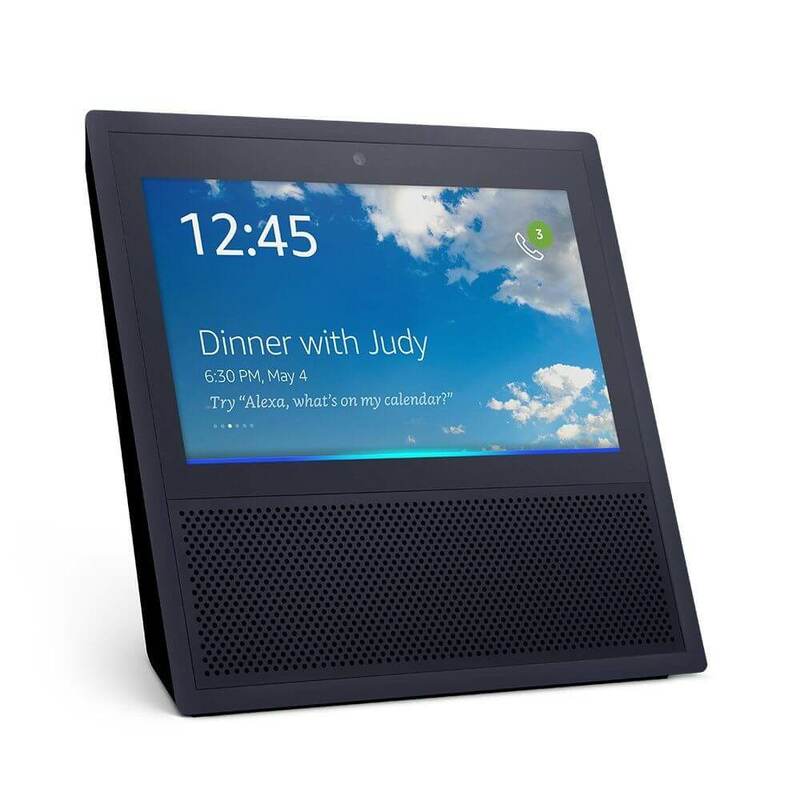 Users can video call anyone with the Echo Show or the (free) Alexa app. In other words, they don’t have to own Echo Show for a video call since they can just use the app. Voice calls are also available to Alexa devices like Echo or Dot. If you’ve hunched over your tablet trying to log in and set up a video call, only to be required a update software, install an extension, reset your password, and two-step verify your identity, you will applaud this stress-reducing and simplified approach to modern day family connections. 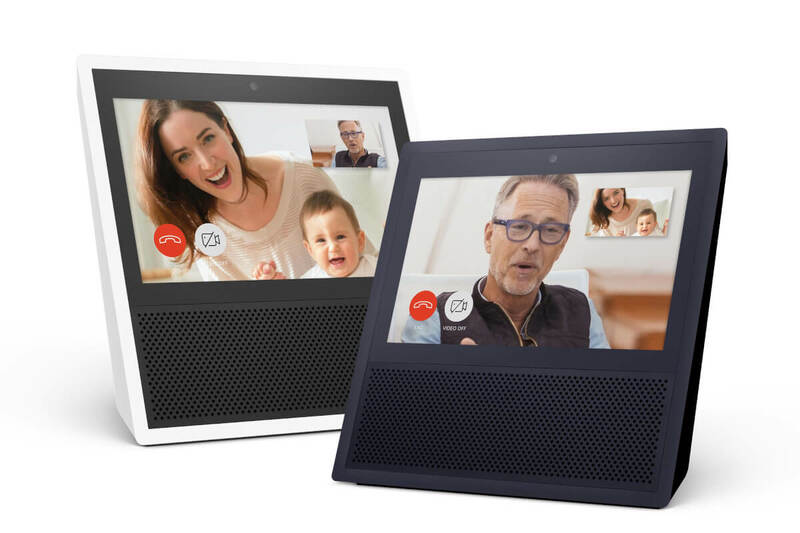 Further simplifying family connections, one new Echo Show idea enables you and specified contacts to Drop In for video chats. That means that approved contacts can appear on your screen without needing you to accept the call first. This feature is receiving mixed reviews due to security concerns. Checking in on your kids, elderly loved ones, or the tween home babysitting for the first time is excellent, but there’s definitely a creep factor. The good news? The 7-second delay. Audio goes live first, enabling you to greet your call recipient and give you time to turn off the camera, run out of the room, or grab a bathrobe. (Users can also decline any call by saying, “Alexa, hang up.”) This feature is supported for voice calls, dubbed “Voice Drop” on Echo, Dot, and Tap. This is an interesting feature that’s morphing Alexa devices into the new family intercom system. Grandmas can buy their grandkids an Echo Dot and call or drop in to see how things are going. We love the Echo Show ideas of a central smart home center. Need a quick camera check of the front door or in the babies’ room? 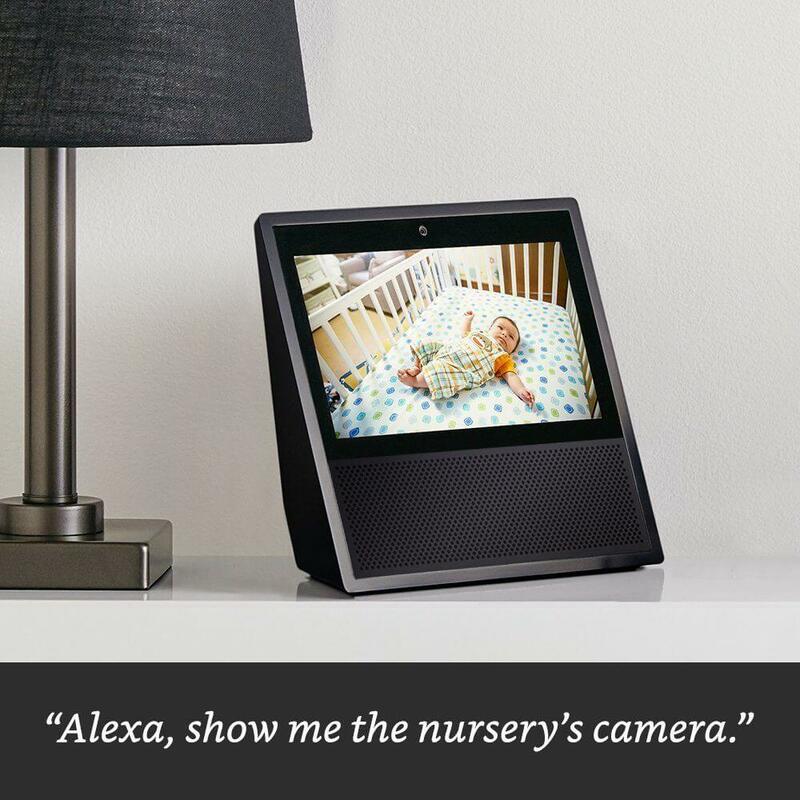 Ask Alexa for a peek at Arlo cameras and the Echo Show complies. Turn on lights, control thermostats, lock doors, etc., all from a bright and easy-to-view screen. Since Amazon’s video API is open, the number of smart home gadgets compatible with Echo Show will grow. Currently, users can stream YouTube and watch any Amazon Prime show or movie. Request the headlines and you’ll get a news briefing from CNN and other networks. On the downside, the Echo Show only offers a 7-inch screen. While it’s not very visible from across the room or an enjoyable long-term movie experience, it would work for kitchen background noise. Bonus: listen to your Audible books. Ask Alexa to play any song with Amazon music and the lyrics will scroll up the screen— a good way to settle bets on misheard lyrics and diffuse a family feud. Amazon reminds us that users can stream music on Pandora, Spotify, TuneIn, iHeartRadio, and more, and the lyrics will display with the audio. The screen is always on (it’s motion activated so when you walk by, it wakes up). This Echo Show idea is to make the device personal. It pulls any pictures stored on a user’s Prime Photo account and cycles through them for a slideshow. This will be a big selling feature for replacing old digital picture frames that might be outdated. One bonus feature to keep your Echo Show working seamlessly: auto-updating. Alexa now has more than 13,000 “skills” and Amazon promises that the Echo Show will continue to get smarter. Because it’s connected to WiFi, it updates automatically and new features will be continuously added. Negatives for the Echo Show? Mobility. It’s not as mobile as your tablet because it must remain plugged in, eliminating the walk-and-talk with your video call. The other mixed review is on sound quality. Speakers were largely considered satisfactory, but not as good as other Bluetooth speakers on the market. One last note: it kind of looks like a miniature version of a TV from the 90s. 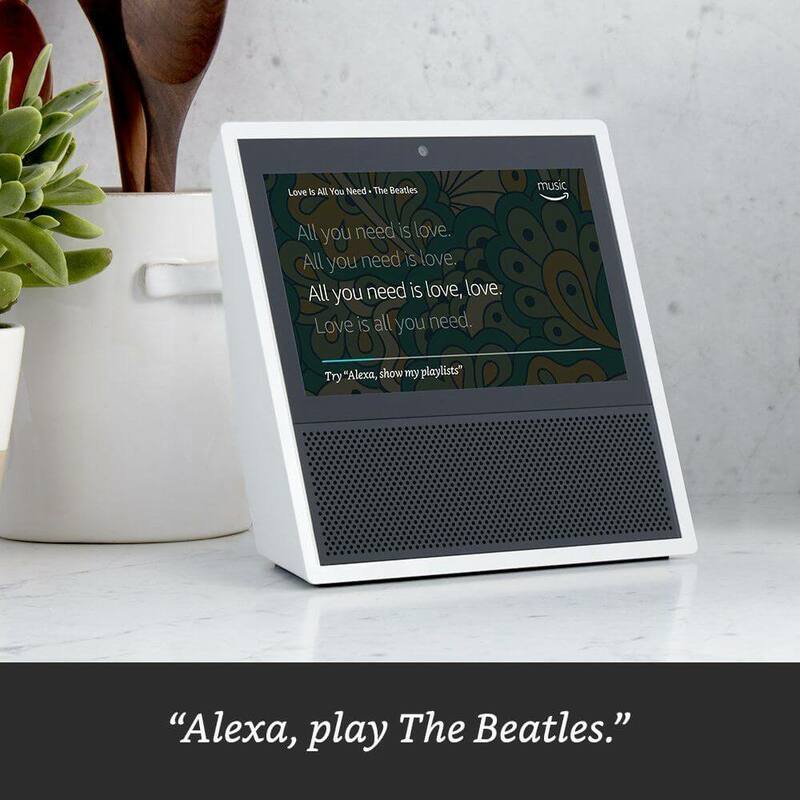 These Echo Show ideas streamline smart home gadgets, connect friends and families, and simplify entertainment in a captivating and exciting way— and we’re all intrigued by what Amazon will offer next.